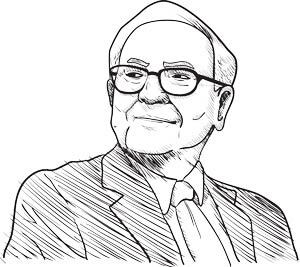 While Berkshire continued its otherworldly performance – and now sits on $100 billion in liquid assets – Buffett announced he'll be stepping down from the board of Kraft Heinz, and the investing world is trying to make sense of Kraft's future. Warren Buffett's company, Berkshire Hathaway Inc. (NYSE: BRK.A), reported quarterly earnings over the weekend. According to the report, the company is currently sitting on more than $100 billion in liquid capital. Buffett also sat down with CNBC today to discuss his views on the markets, his preference for equities over bonds, Apple Inc. (Nasdaq: AAPL), and his proposed healthcare project with Amazon.com Inc. (Nasdaq: AMZN) and JPMorgan Chase & Co. (NYSE: JPM). Speaking of Buffett, shares of food conglomerate Kraft Heinz Co. (NYSE: KHZ) are struggling this morning. The company announced that Buffett will be retiring from its board of directors. Despite the decision to step down, Buffett is giving the markets a lot of optimism this morning. He stated that the recent tax reform bill will provide a "huge tailwind" for businesses in the years ahead. Berkshire alone received about a $29 billion boost. General Electric Co. (NYSE: GE) shares were trading under $14.50 after the firm announced that it had generated less earnings than announced for 2016 and 2017. The embattled firm also announced that it will be nominating three new members to its board of directors. Gold prices were rebounding from last week's dismal performance. Gold pushed just under $1,340 per ounce as markets prepare for U.S. Federal Reserve Chair Jerome Powell to speak before Congress for the first time this week. Powell's update on interest rates will provide direction for where gold prices will be heading in the weeks and months ahead. Crude oil prices pulled back from three-week highs as investors eyed statements from Saudi Arabia on its final numbers for the first quarter. The nation's oil minister said that its first-quarter production was below market estimates. Broader sentiment is that there is enough support from OPEC to help propel oil prices toward $70 in the coming year. The WTI crude oil price today fell 0.3%. Brent crude dropped 0.4%. Shares of Fitbit Inc. (NYSE: FIT) were up 2.2% ahead of the company's earnings report this afternoon. Today's earnings report will reveal if the health-tech firm boosted its sales during the holiday quarter. Shares have declined by more than 25% since its December highs, while its competitors like Apple Inc. (Nasdaq: AAPL) and Garmin Ltd. (Nasdaq: GRMN) continue to dominate the wearable tech market. Over the last week, more than a dozen companies have cut ties with the National Rifle Association amid broader public debate over gun control. The decisions come in the wake of a mass school shooting in Florida. Delta Air Lines Inc. (NYSE: DAL) and United Continental Holdings Inc. (NYSE: UAL) are the latest American companies to cut ties with the NRA. Like other companies who have cut ties with the NRA, the two airlines will no longer provide NRA members with discounts or benefits. The National Rifle Association released a statement over the weekend saying these firms have "decided to punish NRA membership in a shameful display of political and civic cowardice." Shareholders of The Walt Disney Co. (NYSE: DIS) were up 0.4% in pre-market trading after the latest box office figures came in. Over the weekend, the Marvel film "Black Panther" surged past $700 million in sales and easily remained the top film of the week. Look for earnings reports from Palo Alto Networks Inc. (Nasdaq: PANW), Lions Gate Entertainment Corp. (NYSE: LGF.A), Ensco Plc. (NYSE: ESV), Dean Foods Co. (NYSE: DF), Tenet Healthcare Corp. (NYSE: THC), Exelixis Inc. (Nasdaq: EXEL), Copart Inc. (Nasdaq: CPRT), PDC Energy Inc. (Nasdaq: PDCE), LSB Industries Inc. (NYSE: LXU), and Corelogic Inc. (Nasdaq: CLGX). Louis Federal Reserve President James Bullard Speaks at 8 a.m.